Hail and farewell, Caesar. Every March 15, The Ides of March, I pause for a moment of reflection on the assassination of Julius Caesar on this day, 44AD. Well, probably not this day as Caesar tried to improve the Calendar so it more likely that it was March 14 or March 11! What better way to reflect on the legacy of Julius Caesar and ancient Rome than to browse through a copy of Thomas Mommsen's classic, A History of Rome, which should be in every private and public library. Mommsen (1817-1903) was a world renowned historian of the ancient world. During his prime, when all things ancient were in vogue, Mommsen was a rock star and men and women, young and old, were in awe. Awarded the Nobel Prize in Literature in 1902 for his writings on ancient Rome, Mommsen was a prolific scholar and published over 900 works. He was the general editor and chief contributor to the Corpus Inscripionum Latinarum, a comprehensive and massive collection of Roman inscriptions published by the Berlin Academy. He also penned defining works on Roman coinage and Roman constitutional and criminal law. Mommsen was a great fan of Caesar and suspect of the Senate and Cicero, Caesar's most successful critic. He challenged the scientific pursuit of history so prevalent in the academy of the 19th century by allowing emotion and personal experience to guide and enlighten the study history. His approach to history was not without critics but his writing appealed to many and he wrote not only for the scholarly community but also for the general public. Mommsen started, but never completed, a complete History of Rome. 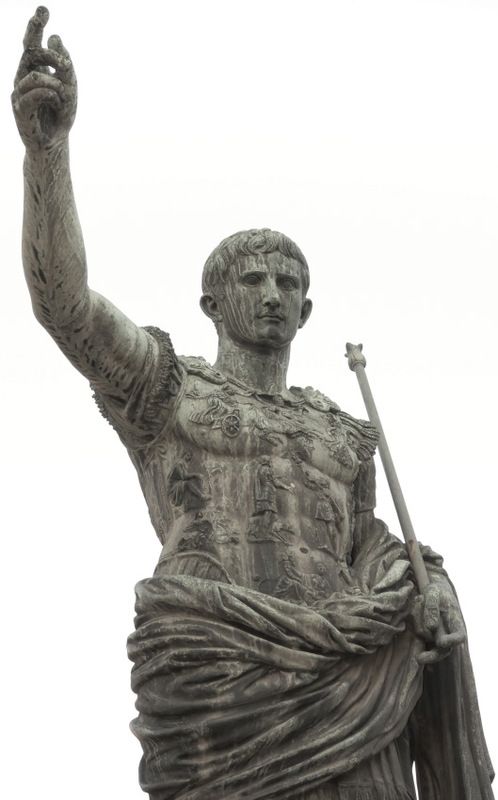 Luckily, what he did complete, was a Roman history from the founding to the time of Caesar. Originally published with the title, Römische Geschichtein, in three volumes between 1854 and 1856 it was first translated into English by William Purdie Dickson and published by Richard Bentley, London, for Henry Colburn in four volumes. To experience Mommsen via Dickon's translation, I suggest this abridged edition recently published by The Folio Society. 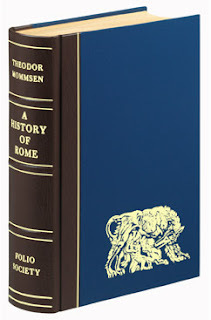 A History of Rome: From the Foundation of The City to The Sole Rule of Julius Caesar, Theodore Mommsen, Translated by W.P. Dickson, Introduced by Anthony Grafton, Edited by C. F. Shepard, 2006. Just received the Folio edition yesterday; looking forward to getting into it. Concerned it's so heavily abridged though. The intro makes reference to Mommsen's antiquated style of writing and I hope this isn't more prevalent through a 19th century translation.